The LLC vs Corporation decision is totally dependent upon what you want to achieve. The C Corporation is the traditional corporation. 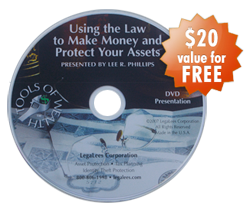 It has the corporate shield that protects the officers, directors, and shareholders from company liabilities. The S corporation has exactly the same corporate shield; it’s just taxed under Subchapter S of the IRS Code instead of Chapter C of the IRS Code. The corporate structure for the C and the S are identical. The LLC has basically the exact same corporate shield, so the LLC versus C corp decision really doesn’t hinge on the liability protection of the corporate shield. The LLC has an additional “protection shield” that the corporations don’t have. There is a reverse attack that the LLC protects against. What happens if you are sued personally? That may come in the form of a divorce, deficiency judgment on a bad real estate deal, slip and fall at your house, auto accident on the way to the movie, or any one of dozens of other personal disasters. The LLCs have “charging order protection,” which the corporations don’t have. This is a big deal. I’ve know a lot more people who have lost their business in a divorce than I have people who have lost their house in a business lawsuit. Charging order protection protects your company form your personal problems. When you’re making the LLC vs C corp decisions, the corporate shield is the same, but the LLC gives you charging order protection. Keep that in mind. In the LLC verses C corporation argument, taxes are a non issue. An LLC can be taxed as a C corporation if you file the right papers with the IRS. Simply file for your tax ID number (SS4 form) and then file form 8832 to make your LLC be taxed as a C corporation. There has to be a pretty compelling reason before I will let one of my clients be taxed as a C corporation. There are reasons, but those may not outweigh the tax savings from choosing to be taxed as a disregarded entity. If you want to use some benefit plans, you’ll have to use the C corporation in order for you as the majority owner to be able to participate. But the only way you can get money “out” of a C corporation to yourself is to pay yourself a W2 wage or dividend it out, which subjects you to double taxation. Tax on corporate income is paid first at the corporate level and again at the individual level on dividends. In contrast, S corporations are taxed as pass-through entities. An LLC which is taxed as an S corporation or a partnership will give you the same asset protection as one taxed as a C corporation, but you’ll have a lot more flexibility in getting money out of the company to yourself as owner. Because an LLC can be taxed under the tax rules of any other entity that you choose, tax considerations should not affect your decision on whether to form an LLC or Corporation. On going management is a big factor in your C corporation vs LLC decision. A C corporation is the most complex business entity structure to manage. 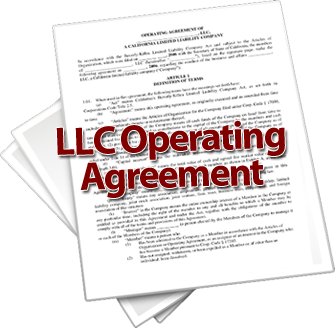 When it comes to LLC vs C corp, there is no question, the LLC is easier to manage. The fact that your LLC may be taxed as a C corporation does not mean you have to follow all of the “corporate” formalities of the C corporation to get the asset protection you want. It is true that you must have a C corporation legal and tax structure in order to list on the New York Exchange, and in order to qualify for certain types of venture capital. It is unlikely that either of these will be the case in a small business. Unless big money is involved, all the extra requirements of a C corporation may not be worth the extra hassle. There are so many things to “trip” you up in the management of the C corporation that most people can’t do it right and they lose the corporate shield. This means a small business has a lot better chance of getting full asset protection with the LLC taxed as a C corporation than with a C corporation legal and tax structure. For the average small business today the LLC vs C corp decision is pretty clear – Go with the LLC. There are overriding reasons to use a C corporation, but they had better be good reasons. “My accountant or attorney said use a C corporation” is not an overriding reason. Why did they say that? It had better be a good answer.